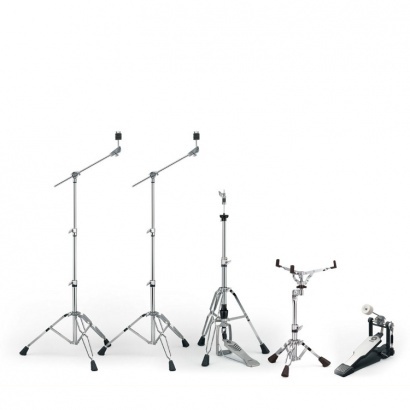 The professional HW-880 drum stand hardware package by Yamaha consists of a hi-hat stand, a snare drum stand, two cymbal stands and a chain-drive bass drum pedal. 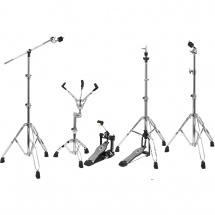 For extra stability and ruggedness, the four stands from the 800 series are equipped with double-braced legs and large rubber feet. 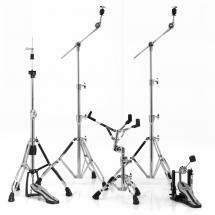 All in all this is an affordable drum hardware package that you can build on! 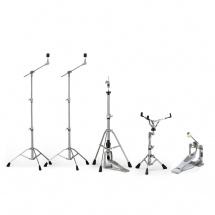 As soon as ambitious drummers gets to know their first instrument a little, they're going to want to fine-tune their drum set, and that's where the HS880 hardware package comes in! 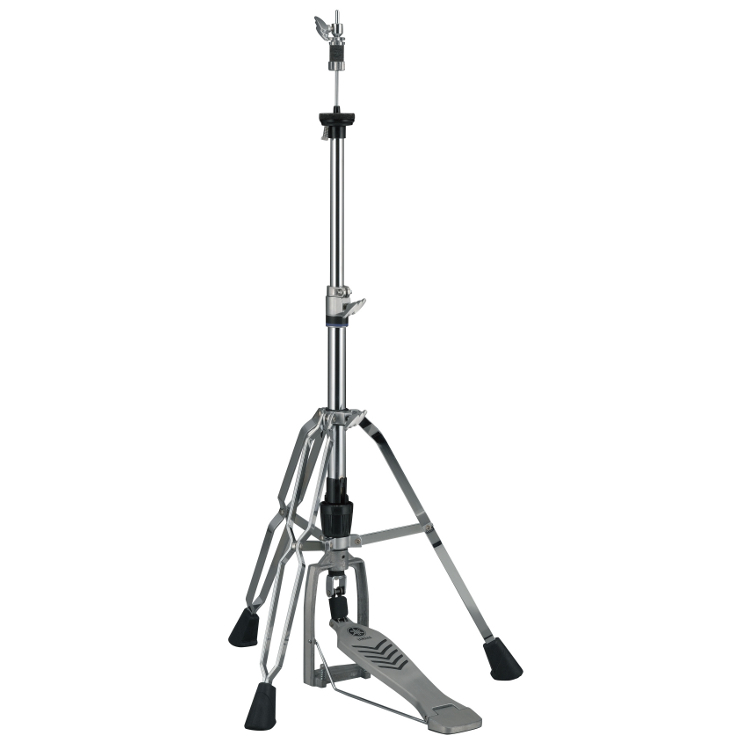 The hi-hat stand's spring tension goes from 70 to 90 cm and is adjustable in eleven positions, and the 94 to 175cm high cymbal stand offers a steplessly adjustable arm. 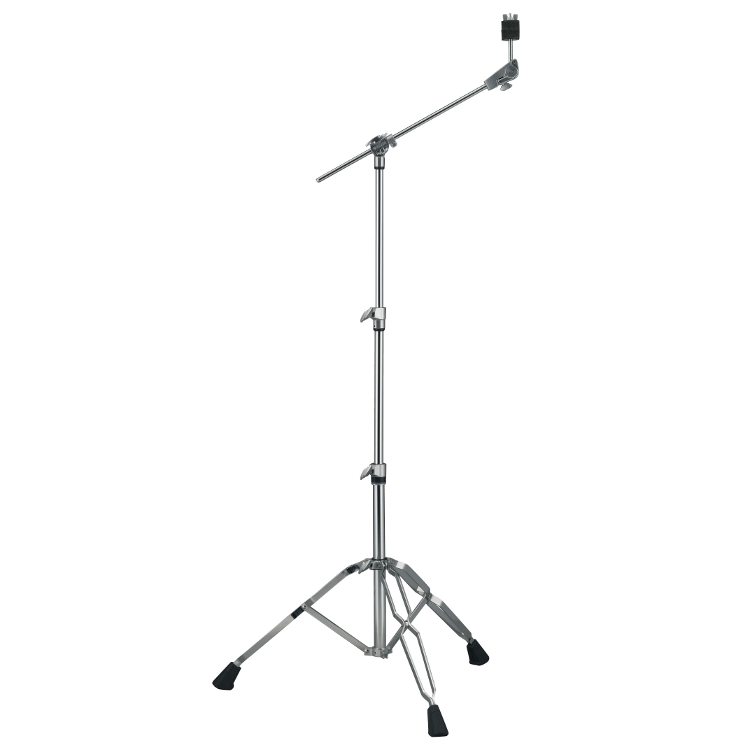 The snare drum stand is based on the popular SS-740A, but it can go 2.5 cm higher and has an improved tilter. 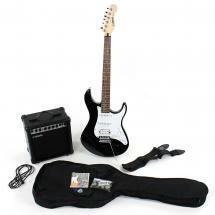 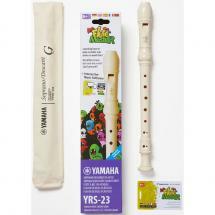 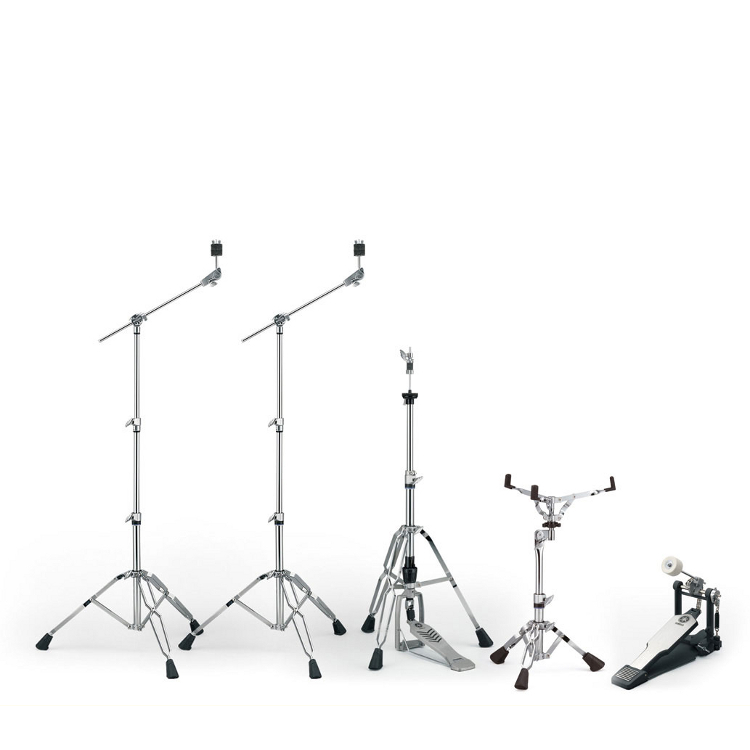 This refined set can easily be used by amateurs and professionals alike. 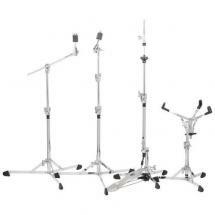 You'll get a kick out of this! 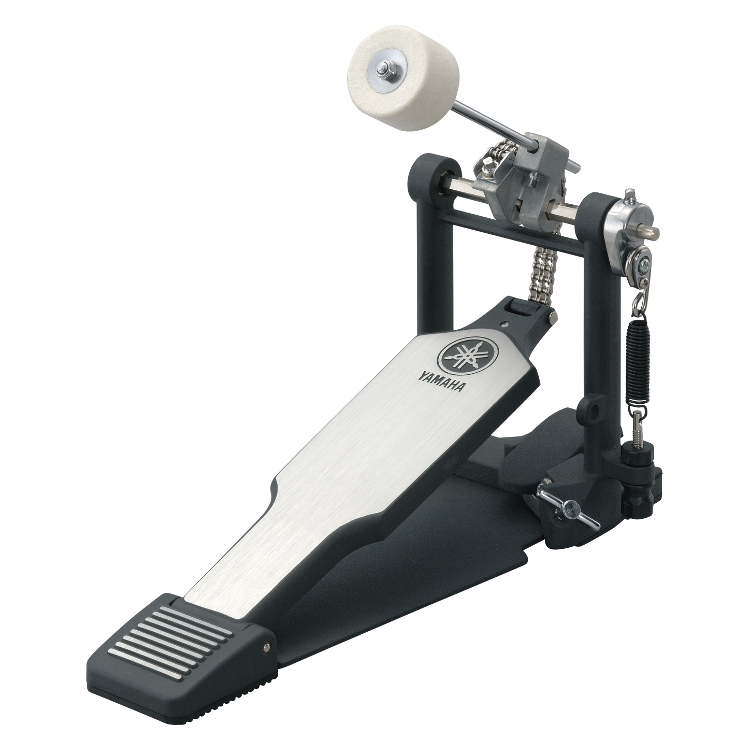 Without a doubt you'll get a kick out of the sturdy yet supple bass drum pedal from the HW880 package. 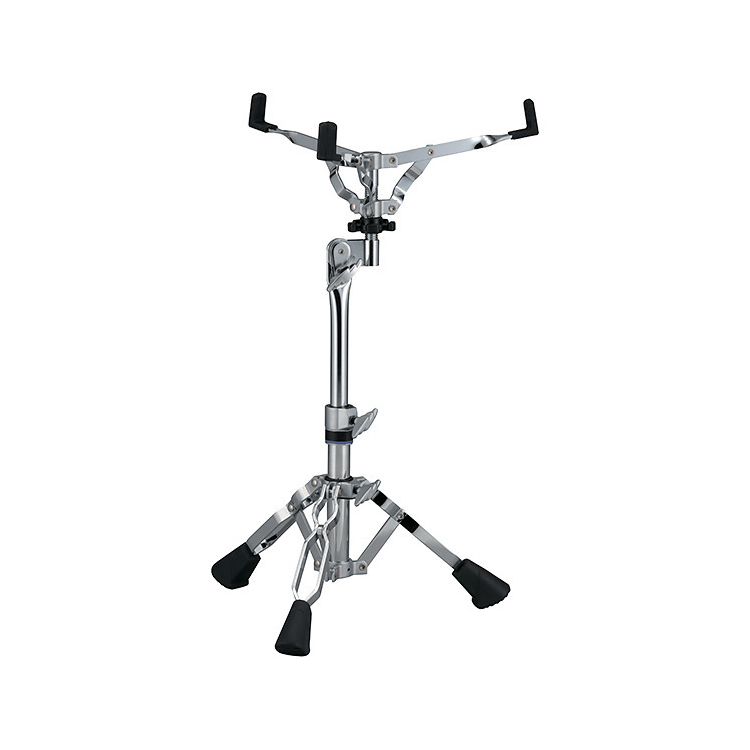 The spring tension and beater angle are completely adjustable, the pedal can quickly be anchored to any type of bass drum, and a sub-frame under the beater adds even more stability. 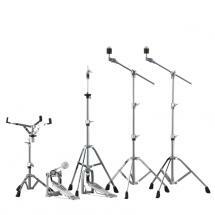 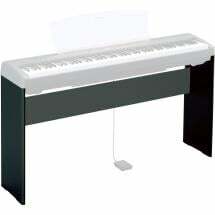 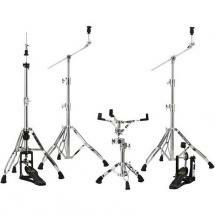 hardware package of 4 drum stands and 1 bass drum pedal.